The Friends of Hemingfield Colliery got 2019 off to a great start, continuing with a busy programme of volunteer activities on site. 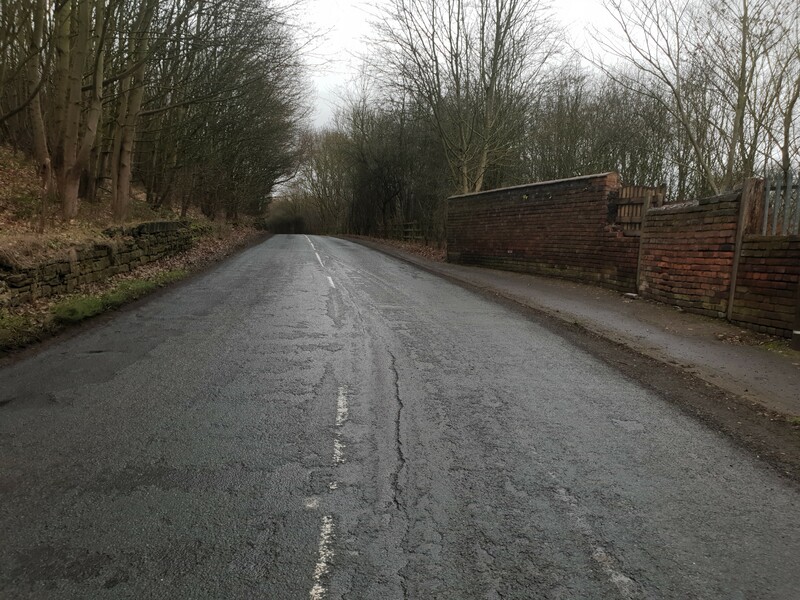 Stark leafless trees lined the route down Wath Road to the gates of Hemingfield Colliery. Winter’s darkness and wet chill hovered overhead, but the regular volunteers, Paul, John, Keith, Chris, and Friends Chair Steve were not deterred, determined to get the new year off to a flying start. Steve and Paul opened up the switchgear building and started an admittedly early Spring Clean on the corner room. 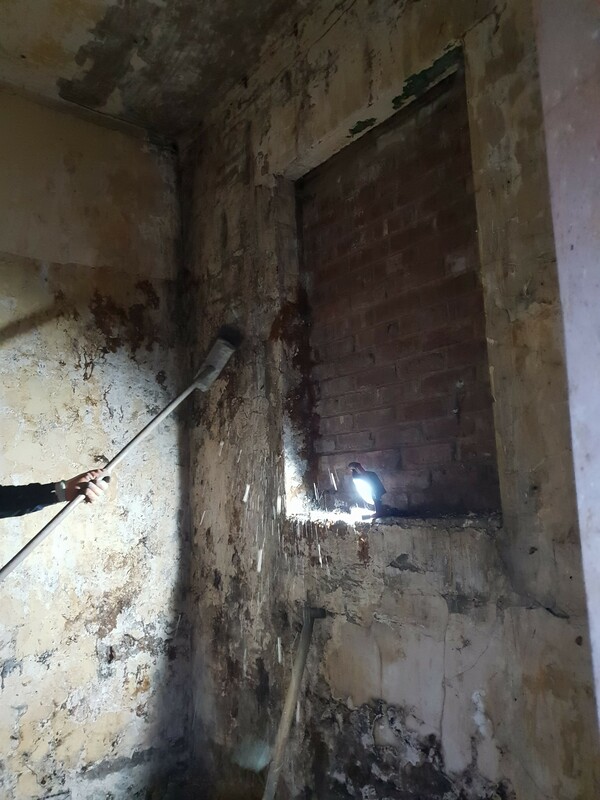 With brushes and shovels, the accumulated muck and failing plaster from the wet outer wall was brushed down, the floor tiles being swept clean and tidy. This room has housed all of the logged wood the Friends have cut down since 2016, and it was an impressive sight when filled from floor to ceiling with stumps, and logged firewood, but several winters and a restored, tree-free pit yard later the room is once again freed up for re-use. Tidier, with room for improvement: the side room in the switchgear building looking out to the headgear. Meanwhile, around the back of the site, Chris and John continued to backfill the pit which had previously been excavated last year. Filling the hole with even layers of rubble and spoil means a neater and more consistent surface, and one which the Friends will be able to recover in stone blocks as the remainder of the lower part of the site. Levelling up. Back-filling the excavated pit with a tidier fill to restore the ground surface. At the start of the day. Just right. The levelled surface ready for relaying the stone blocks. Bringing the lower level back into use. After pausing for the first snap break of 2019, the volunteers reconvened to gather around the collected waste wood ready to create a bonfire. 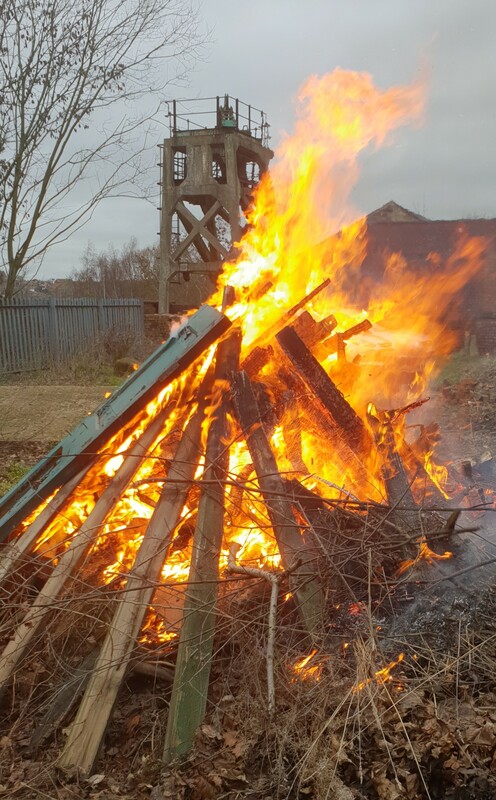 Located at the far end of the site, out of the way of our neighbours, the bonfire brought some cheery light and welcome warmth as well as removing the rotten timbers and tree stumps which have accumulated from previous activities on site. The orange glow marked a welcome contrast with the dark clouds and black boughs of the trees all around. Gathering around the fire also gave everyone pause to think about the year ahead; the Friends’ plans for 2019 and the future, including, new activities, events and ideas to raise awareness of the group and continue to ensure that our work since 2014 continues to secure the long term future of the site, its buildings and the many lives the colliery has touched from 1842 to the present day. Enjoying the company of the Friends and Volunteers around the bonfire, we could not miss our Friends and partners from Elsecar Heritage Railway. Hardy volunteers from the steam railway were out inspecting the trackbed as part of their winter maintenance routine. Glancing down from the bonfire, it was heartening to see the care which is being taken in preserving and enhancing the railway, alongside our own efforts at Hemingfield Colliery. 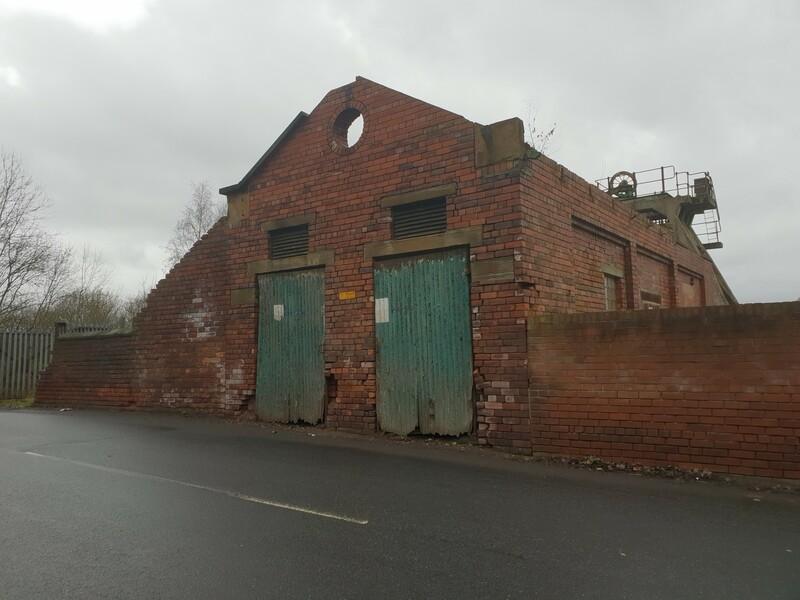 Not forgetting, of course, the hidden gem of Hemingfield, it’s canal basin which served the colliery before the coming of the railway to Elsecar in 1850. Warmed by the fire, and heartened to see so much going on in and around Elsecar and Hemingfield, the Friends headed home full of optimism for a productive new year. Here’s to 2019!